Money is an important resource. But, not every person is lucky to have it when he or she needs it. At the end of the day, many people turn to lenders for short-term or long-term financial support. No wonder the loan business is kind of a big deal on the market today. Now, if you are one of those persons who take loans from time to time, you know how frustrating it can be when you have to create loan forms from time to time. 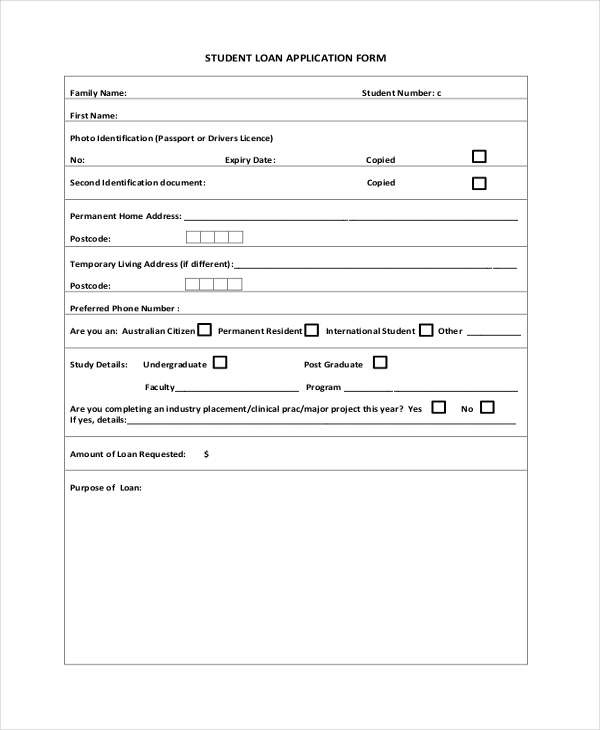 But, here are Application Forms that you can download and use instead of creating them yourself from time to time. First, this sample form is easy to fill out. It should not take you long to do that. Secondly, the file is available for free download. As such, you don’t have to bother doing the design yourself. Short-term loans are easy to get. You only need to apply for the help and then you are sure to get the support that you need. With that said, you should use the following sample form to apply. 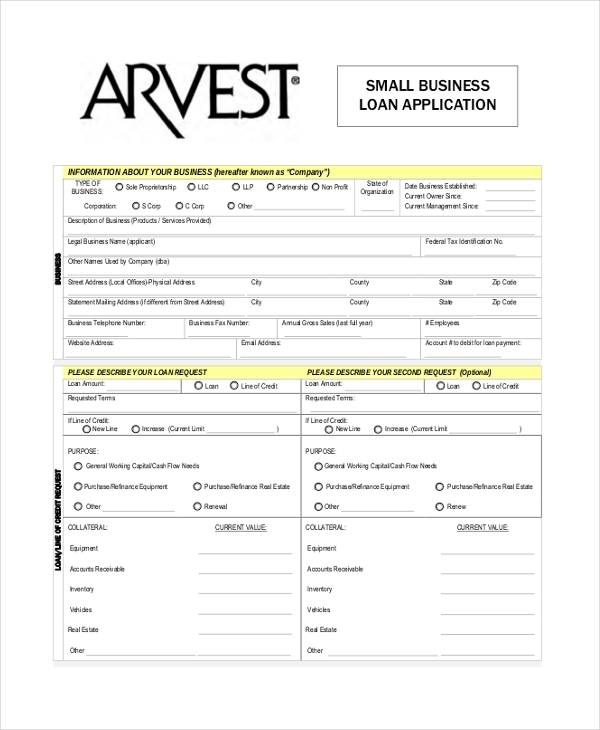 Small businesses that have good credit score, and even those that don’t, can use the following same template to apply for loans from the bank or any other financial lender. You may also see Sample Job Application. You may also see Sample Job Application. 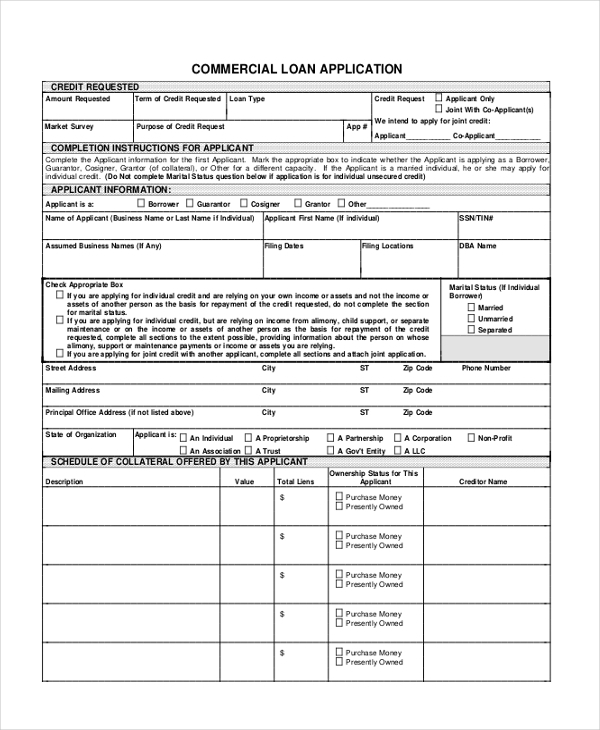 If you want to apply for a loan to start a business, you can do so with the help of the following same loan application form. The reason to use this is that it is standard and suitable for commercial loan application. 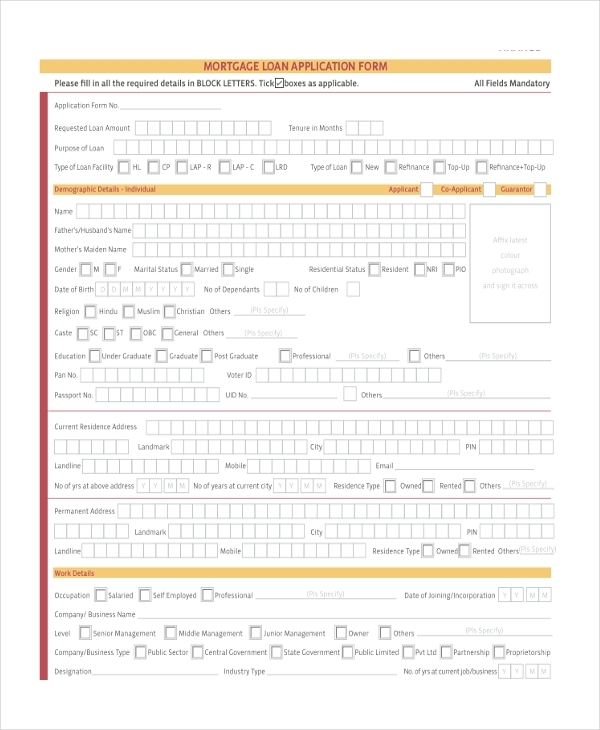 Here is a form you can download with a click of a button for free. If you don’t have the time to create a sample form, then this is for you. Moreover, it should not take you long to fill this out. You can buy a home even if you don’t have the exact amount required. A lot of people buy mortgages and you can too. All you need is a mortgage loan. And you can use this same file to apply for the loan. 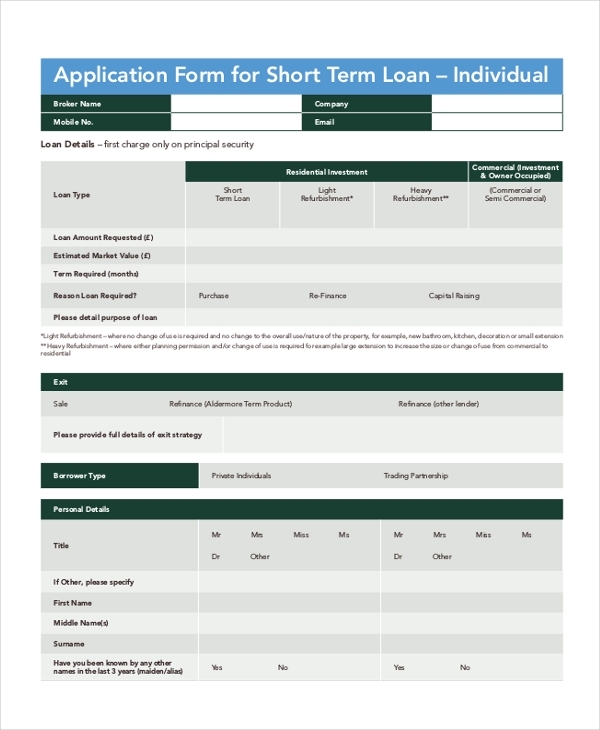 If you are looking for the best form that you can use to borrow loans, then this one is the best template for you. The same file is free to download and it does not require any kind of editing. Buying your dream car is of course something that you have always wanted to do. Now, there is an easier way to buy a car than it was a long time ago. 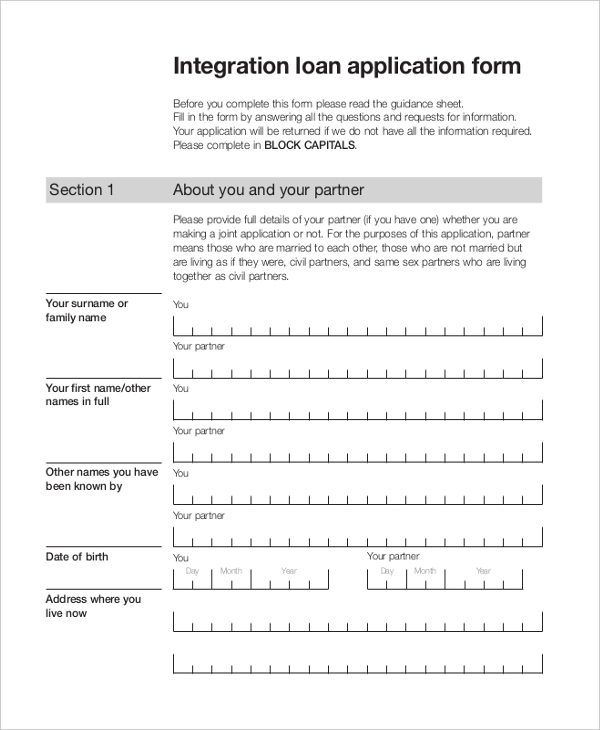 You only need this form to apply for a car loan, and hopefully you will get approved. 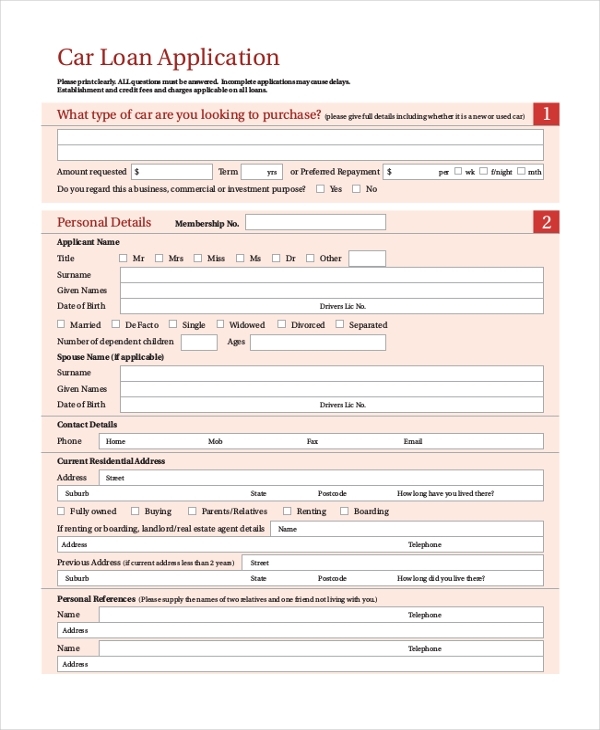 You can also see Sample Rental Application Form. 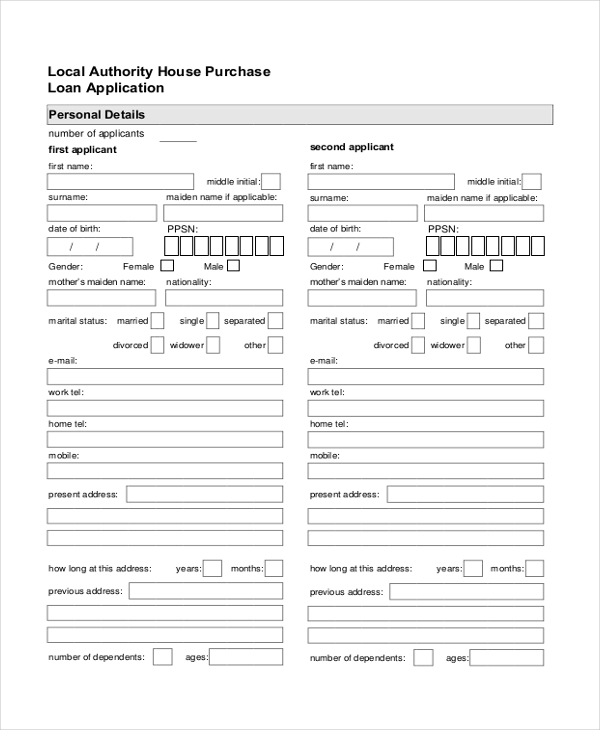 This form is for those people who would like to apply for home loans. Rather than creating this sample yourself, you can download this and use it as is. You only have to fill out your details and submit for reviews. Are these Loans Valuable to All? Do you remember the last time you were in a financial crisis and you had to ask your closest friend to “bail you out”? You were so broke. Maybe, you didn’t even have a buck for your next cup of coffee. And boom! A fast payday loan from a friend was the only thing that can to your rescue. A short, sad story like this tells you one thing for sure: loans are indeed significant. You can live on a loan until your next pay day. Why You Shouldn’t Mind Getting Loans? A loan helps you to buy a property no. Rather than having to wait for probably years to buy a property, say a car or something else, you can take a loan, buy what you need, and then pay later. Many you know take loans. So, you actually aren’t the only one who has financial problems. A lot of people do. That means you should not really shy off taking loans. Loans are easy to repay. If you have taken a loan from your bank before and you were able to repay back, then you understand the meaning of the term. There are two main reasons why this article is important. First, it presents you the best loan application documents that you can download and use for free, eventually saving you time and money. Lastly, it makes you feel better to learn that getting a loan is sometimes the only best way to salvage yourself from financial hardships. 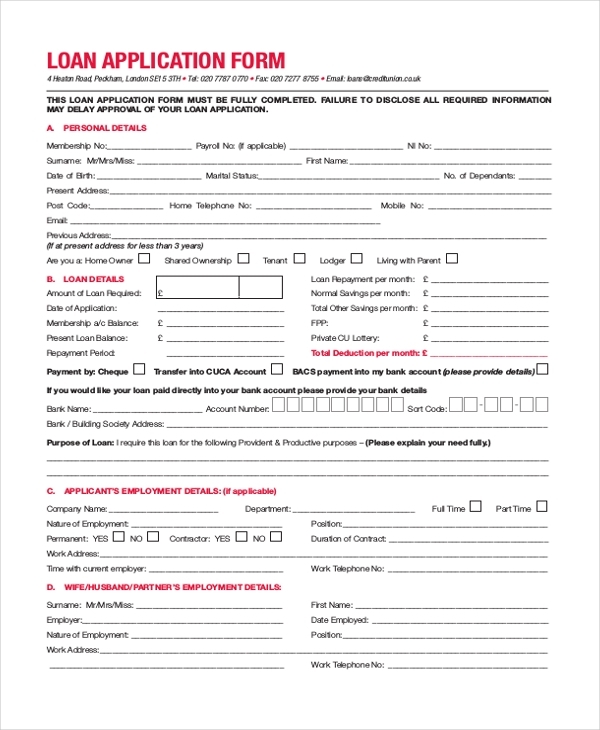 You may also see Sample Credit Application Form.